A partial denture is a removable plate with one or more teeth attached; they replace those teeth that are missing. If all your teeth are missing you will require complete dentures or full dentures; this may be on the top, the bottom or replace both sets of teeth. Partial dentures can replace a single tooth and virtually every single combination in-between. They are an economical way to give you back teeth, so you can eat and smile without too much difficulty. Why do I need partial dentures? Partial dentures are the most economical way to replace missing teeth, when compared to the alternatives of a dental bridge or implant. The more teeth that you have missing, the more the partial denture can become an appealing solution since fixed restorations, whilst great, can be very expensive. They become a very useful treatment option when patients have gum disease and begin to lose teeth, as the bone is often too poor for the teeth to hold a bridge or is insufficient for an implant. If you just did nothing and left the space, Missing teeth can lead to a sequence of problems – some are more short term, some are more long term but over time they’ll become more and more significant. Immediate issues could be chewing and eating, embarrassment, smiling even speaking, especially if it’s a front tooth! Over time the lack of balance and stability caused by the missing teeth will cause teeth to tilt, lean, move and over-erupt, causing potential problems with aesthetics, your bite, your jaw joints, sensitivity even decay and gum disease, and the teeth will become harder to clean. Partial dentures are one solution for fixing missing teeth and preventing these things from arising. Your other options are a dental bridge or an implant. Most dentures will last 5 – 10 years. If they are well planned and executed then they should last towards the upper end of this range. Some people will have had the same set well over 10 years and seem to get on fine with them. However since changes in the mouth occur over time, the fit of the dentures may not be ideal and may require some attention or a new set on closer inspection at some time in the future. Denture repairs and maintenance to your denture can help extend its life., such as adding a tooth if you have an extraction or relining the denture if your gums have shrunk. 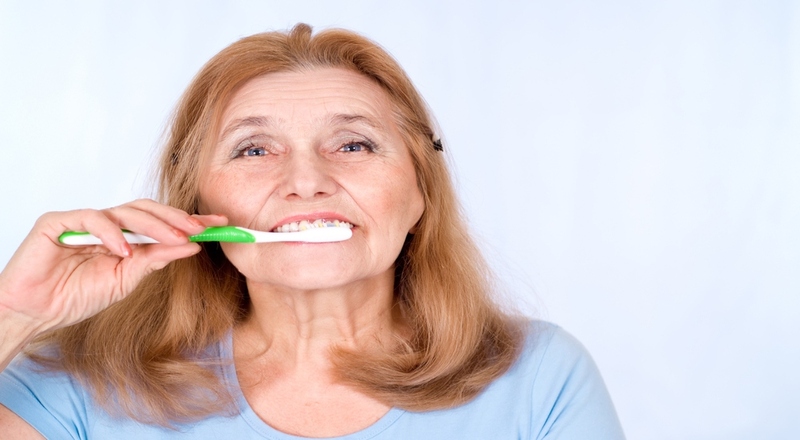 The better you look after your remaining teeth and the dentures themselves the longer they will last. Dentists are trained in the provision of all types of removable denture and full dentures and whilst there is a growing trend towards implants, they still form a large and very important part of dentistry, and will continue to do so for years to come due to the costs that prohibit everyone from accessing the higher end treatments. Denture prosthesists initially complete training, as dental technicians, who work on referrals from a dentist and later become registered, in order to be able to consult and treat patients directly. It is important if you do see a dental prosthetist for your partial denture or complete denture to still see a dentist for your general care since they are not looking for signs of decay, gum disease, oral cancer and all sorts of other conditions that can effect your teeth and mouth, they are simply providing a treatment. 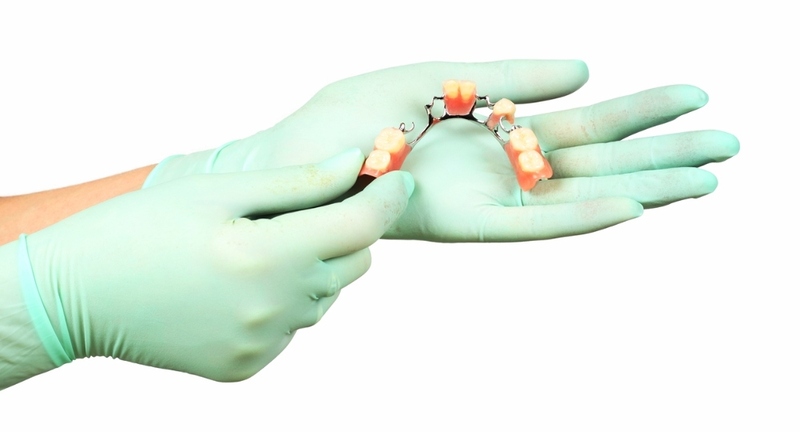 What are the Alternatives to a Removable Partial Denture? 1. Do nothing- but as we have seen this has many negative consequences. 2. An dental implant – great for restoring one or two missing teeth and where generally the rest of the teeth are healthy and not likely to be lost. 4. A combination of implants and dentures – great for restoring larger numbers of missing teeth- the implants will help stabilise the denture. Commonly used for a full lower denture where patients have difficulty controlling them and keeping them in. 5. A combination of implants and bridges – this option uses a bridge across two implants and is a very predicatble and quality restoration where the gap is larger and a normal bridge would be too long to support multiple fake teeth. 6. A combination of an implants and a bridges- If you want something fixed in your mouth and have multiple spaces, it may be best to use a couple of approaches to get the bast outcome. What Types of Partial Dentures are there? Acrylic denture- these consist of the denture teeth attached to an acrylic base plate. They are ‘mucosal borne dentures’- this means they get support (resist chewing forces) by resting on your gums not using the teeth. They are the cheapest, easiest to make, add to, reline and change as your mouth changes but they are probably the least comfortable, have the least grip and stability and feel the biggest in your mouth. They are useful as a training denture for wearing a complete denture, where lots of changes are expected or further teeth are likely to be lost in the near future, as a temporary solution when waiting for more expensive treatments like implants or in cases of trauma where a front tooth is knocked out. Cobalt chrome denture- have a metal base plate or framework onto which denture teeth are attached by acrylic .They are “toothbourne” for the most part meaning they rest on the teeth via and directs forces down the teeth instead of onto the gums. If you have no teeth at the back then the denture will be forced to sit on both the teeth and then the gums in that area. The number, position and quality of the teeth will affect the size, stability and grip. They are the thinner because of the strength of the metal and so the easiest and most comfortable to wear with the best grip, most hygienic and provide the best distribution of force to your remaining teeth. They are however more expensive, can be diffiucult to add to, take longer to make and due to their precise nature can cause difficulty with the fitting if changes such as fillings or crowns are needed on the teeth they rest on. They are the great where the mouth is likely to change and the patient can’t afford fixed options. Flexidentures have no metal, just a slightly flexible gum coloured denture base which extends to make the clasps. The most common types are Valplast TM and Flexite TM are the most popular types of flexi- denture. Like acrylic dentures,they are ‘mucosal borne’ but have the advantage of no metal which some patients prefer. If however your mouth is likely to change then they are very difficult to add to and one of the options would be preferable. They also require special cleaning but are good where single back teeth need to be replaced on one side, avoiding the need to cover the palate. The procedure consists of a few appointments over a few weeks, each appointment is followed by a lab stage that permits the next appointment. Appointments are generally pretty short – about 15 minutes long. Once it has been decided the type of partial denture , you will have your primary impressions taken of the mouth- Dr Jamie may need to adjust your teeth slightly before this is done in order to get the best grip, stability and enable the forces to be directed in line with the teeth. These impressions record all the teeth and gum anatamoy in the regions where the denture will sit. Sometimes these impressions will be good enough to use fro the making of the denture but normally a special tray (one to fit your mouth) is made and a second more accurate impression is taken. The bite must then be recorded and this may require an additional stage with wax rims or simply a silicone material if you have an easily reproducible and consistent way your teeth come together. A a shade is taken and then the lab technician will make either the cobalt chrome base to try in to ensure it fits or make it and add the teeth on as well in wax. Acrylic try ins are similar just without the metal base. At this stage Dr Jamie may need to modify the position of the teeth to accommodate the bite and can make any other changes such as the colour or size or shape of the teeth. Once he is happy and you are happy, he will return this to the lab and the acylric will be invested to produce the final denture which will be subsequently tried in, checked and you will be given advice on what to expect and how to look after it. As with any procedure there are potential risks though because we aren’t doing anything to the teeth per se the risks can be mitigated largely with correct treatment planning, quality execution of the partial denture , regular dental check and by appropriate and excellent home care. Partial dentures can take a bit of getting used to, certainly not as much as complete dentures as the natural remaining teeth provide stability and also feedback to the brain about your eating. Anything new in your mouth as you will know if you have had a filling or a crown, heck even a clean can feel strange but we adapt pretty quickly. Are partial dentures easy to get used to? If your partial denture contains front teeth you may find it a little struggle pronouncing certain words for the first couple of weeks. Practice reading at home and you will rapidly adapt. This is just to do with your tongue finding a new position to create the sounds. If the dentures are causing you sores or pain, dropping or moving, then you will need to make an appointment for us to check them and adjust them as necessary. Dr Jamie always likes a review appointment anyway just to see how you are getting on! Once your partial denture is comfortable, you should wear it as much as you possibly can. The more you wear them, the more used to them you get, and the more they will naturally feel part of your mouth. You can sleep in them for just the first week if you want but moving forward, once you are used to them, you should always take them out at night. Taking care of your partial dentures? Rinse your dentures with cold water before putting them in; it will help with suction and lubrication. Your local super market or chemist will have some specialized cleansers you can try if you like; just check it is for the right sort of denture. Get routine check ups with Dr Jamie to check your teeth, gums and dentures and call up if you have any issues in the meantime.